Please join us for November's Business After Hours networking event, hosted by Dr. Matthew Grant of NorthStar Psychological & Consultation Services. Beverages and light refreshments will be served and there will be 2 door prizes, so don't forget to bring your business card. Attendees are more than welcome to park at NorthStar's building, The Academy, located at 429 E Vermont St. There are 2 parking lots, one adjacent or east of the building and one behind or south of the building; please enter the building from Vermont St. We will be meeting in Suite 307. 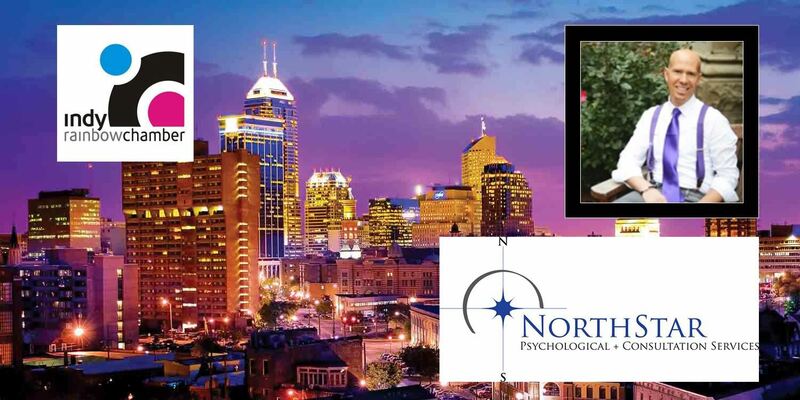 Dr. Matthew Grant,an Indiana native with over 14 years in the field, is a licensed psychologist and psychotherapist and sole proprietor of NorthStar Psychological + Consultation Services. He specializes in the treatment of adults and couples who struggle with mood disorders, anxiety disorders, mild trauma, grief and loss, substance-related disorders, couples-related issues including sexual addiction, and dysphoria related to sexuality and gender identity. A large part of Dr. Grant’s practice is geared towards working with those identified as part of the LGBT+ community and their allies. Dr. Grant also facilitates a gay men’s group titled, Living Out Your Gifts.